Home >> SEO >> Make your business Digitally available; Don’t miss a chance to showcase the online presence of your business! Marketing if you go through the original dictionary meaning its all about, making relation and managing business through customer satisfaction. But does this definition prevail in terms of Digital Marketing? A question you need to deeply think on. Is Digital Marketing equivalent to person to person marketing or is it the generic form of marketing? While store marketing obediently functions through 4P’s (product, price, place, and promotion), does digital marketing inherent the traditional trend in more digitalized form? Questions are piling on top of questions, with no addressable scenarios. How can it be? Weird syndrome! Suffocating through malfunctions of the digitalized environment. Before leaping onto the areas of Digital Marketing, let’s get in, what’s digital marketing is all about? What exactly is Digital Marketing? Hmm, what’s taking digital marketing as an organizational agenda? We watch television, in between our favorite show comes a quick break. That can be of anything, another show, fast foods, travel, hotels anything. But are those advertisement a part of Digital Marketing? Yes, it is! Digital marketing is all about marketing tactics using internet or electronic devices. Business uses digital channels such as social media, search engine, website and email to connect every one of its prospective customers. How accessible is internet today? Believe it or not, every day, not every day, in fact, every second, internet users are soaring high. Its constant, internet today, are not only a solo hub for a teen but a gossiping & researching zone for everyone. Marketing is all about connecting people, at the right time and the right place. But in today’s era, you meet your audience on the internet. Digital marketing is the use of several digital tactics and channels to connect with customers online. From branding, digital marketing and email marketing their lies a series of spectrums that conquer the sectors of digital marketing. A digital marketer should have a clear picture of achieving the client’s expectations to achieve their goal. Depending on the requirements of the client, marketing strategist should be successful in supporting larger campaigns via paid or free channels. For an instance, A content marketer needs to create a series of blog posts, which allows to bring in new leads. Whereas the social media marketer must emphasize on promoting the blog posts in several social sites to generate organic views. Followingly, email marketer, accordingly, creates an email campaign to every one of its clients who seek to receive service from the service provider. Everywhere, every portion of the internet is swarming about content marketing. But very few are aware of the exact territory of content marketing. Before identifying what’s in it. Let’s gather some statistics on content marketing. B2B reports about sudden outburst of contents in 2019. Previously they reported 86 percent of contents were released back in 2018, but at present, the experts have predicted beating its own previous record. So, why not put an online string on a search engine, on how to make a perfect content marketing strategy to speed up content marketing. Keyword research is an essential part. You need to identify what exactly your readers are seeking for. Writing haywire leads to time wastage. Feeding keywords allow the search engine to optimize your content. More than 94 percent of search engine users click on organic links that appear on the front page of Google. So, how to effectively use and search keyword for SEO. Long tail keywords go best for search engine ranking without much effort. Long tail keyword means, three or four phrases keyword. Long phrase keywords hold less competition than generic keywords. Advantages of using it, you can easily rank your webpage. Effortlessly you can pick fruit! For website link building is an art. Backlinks play a significant role in generating organic search results. It is important for search engine optimizations. Learning from a good resource improves search engine ranking and helps to build high-quality links in a scalable way. Make sure to carry out a relevant niche, when building a website. Go for quality rather than quality. Find out more of an untapped resource for natural build links. Interaction with guests pulls in trust and confidence of guests. It’s a dominant marketing strategy, helping every new build website to flourish readership. Guest posting brings in high-quality links, from the original website. Guest blogging has a positive track record. Consistent guest blogging attracts more readers to your post. Why wait for Christmas, do few guest blogging to increase your audience. An essential component of the online business. Whenever visitor act on your site, which you wanted them to take it’s called conversion. Conversion Rate Optimization (CRO) finds out the reason for visitor turnover and ways to fix it. E-commerce sites, selling products are just unaware of why their visitors left their shopping cart without purchasing. Go through stats, for serious learning of conversion. Understand CRO and learn to optimize it. Don’t allow your visitors to turn it down. Go slow but make sure to positively increase the conversion rate. Forming a personal brand is an art. It’s important to the label to promote organization name. Powerful brand not only improvises reputation but also offers more opportunities. Around 45% of employers find employees via LinkedIn while 52 percent of marketers finds customers from Facebook. Stick with your promise. Don’t mislead your audience, give them exactly what they are seeking for. Connect with other brands as well. No matter, how pro you are in your area, make sure to learn something new and informative every day. SEO is all about ranking your website. SEO technique ranks your website higher and diverts traffic to your site. Organic search drives nearly 52 percent of traffic to your site, while paid drives 9 % of traffic and 3-4 % of traffics are flowed in via social media. SEO still sound confusing term for businesses who are not aware of digital marketing. Individuals willing to know more about SEO can heartily reach out for, free online portal guide or can even attend workshops offering SEO knowledge. A landing page is not only about simple page for product and service, but it should also hold a unique content suiting your user’s requirement. Weak landing page increases bounce rate and kill conversion of your website. To attract consumers to their site, organization spend more than $100, but from the spent amount they can only reap $1. So, if you are highly frustrated with the low conversion rate, its high time to learn and design a creative landing page to improve conversion page. Its all about influencing consumers through your playful words. Professional copywriting can create a positive impact on the content marketing area. However, such content should be free from error and should be successful in creating a positive impact on the mindset of readers. Many people fail to understand the power of unique copy-writing. The writer in this sector is expected to be creative. They should have that power to frame attractive headlines which urge the readers to go through their post. These skills are very known skills and practiced by every digital marketer. However, an expert digital marketer always tries to approach new techniques to flow in more of organic clients. They try new fundaments to deliver positive results. 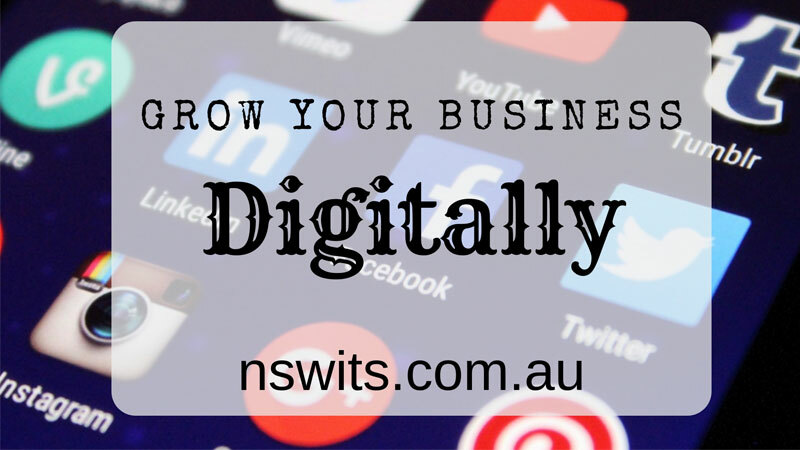 NSW IT Support has a stack of expertise Digital Marketers, who are proficient in their field and who assure to deliver positive results to their clients. So, far we have worked with various organizations and have given excellent service. To know more on Digital Marketing service, or Search Engine Optimization Services, you can go through our website and immediately contact us for any queries or service.